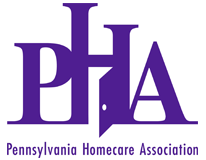 PHA members providing hospice care are encouraged to attend PHA’s Hospice Cabinet meeting. The agenda will feature a discussion of safe drug disposal legislative initiatives, best practices for drug diversion control, POLST, the Prescription Drug Monitoring Program (PDMP), and other topics TBA. This is a free, members-only event. Space is limited so register today. Lunch will be provided.